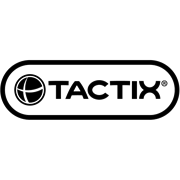 Ideal for storing nuts, bolts, nails, screws, staples and other items, Tactix's compartment storage cases are a great addition for any office or garage. Available in two sizes, this storage case range allows you to create your own storage system suitable for your needs by accommodating removable tabs, creating various sized compartments. Built with a heavy duty carry handle and a strong polypropylene construction, these cases are perfect for transporting your supplies from site to site securely with sturdy latches providing extra support and security.